Repairing your pot holes, cracks, and sunken areas reduce your legal liability. It also helps prevent the need to replace your entire driveway by prolonging the life of your asphalt. Our products are not available at any department store for the general consumer. We are very flexible and offer a wide variety of options when it comes to repairing your asphalt. Pot holes are unattractive and can be obstructive to vehicles and foot traffic. Choosing to not repair the asphalt may result in the total replacement of your driveway. Pot hole repairs are done by cutting away the bad section of asphalt and replacing with new asphalt. Cracks should be repaired as soon as possible to prevent water from deteriorating the asphalt and surfaces below. Cracks will usually get worse during the summer and winter months when the asphalt expands and contracts. Depending on the size and depth of the crack there are different methods that Do It All Sealing uses for repairs. We offer hot rubberizing crack repair as well as cold pour crack repair. Oil and other chemicals that leak from vehicles onto your driveway start to deteriorate the asphalt. There are a variety of options that Do It All Sealing can do to treat these stains before they cause serious damage. 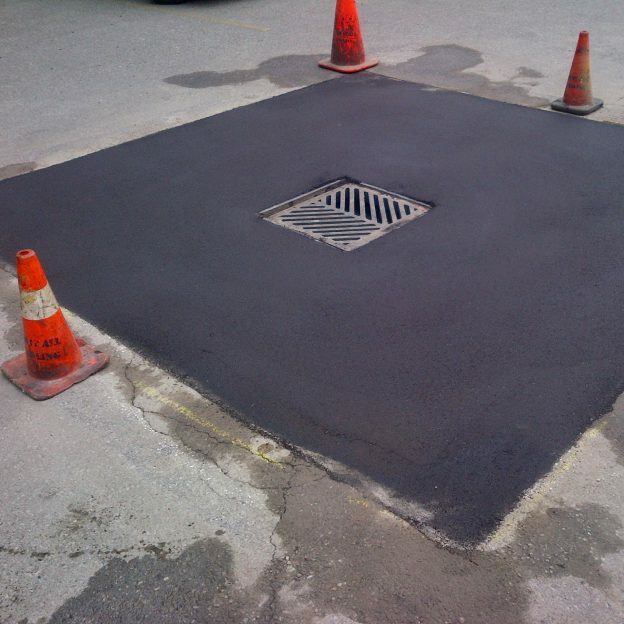 Over the years the asphalt around catch basins and drains start to deteriorate due to wear and tear from vehicles and draining water. Old asphalt is cut out and removed and replaced with new hot asphalt. In some cases the catch basin may require a full rebuild frame & lids or precast concrete rings.